David Payne loves video games. The man behind one of Salt Lake City’s best and longest-running rock bands, Red Bennies (and myriad other musical projects), has enough video games and pinball machines in his home to call it an arcade. He builds hyperfunctional electric guitars equipped with his own Fibralten tremolo system, and hyper-directional speaker cabinets that look like the classic cabinet video games. He’s also grafted his iPhone onto his keytar. 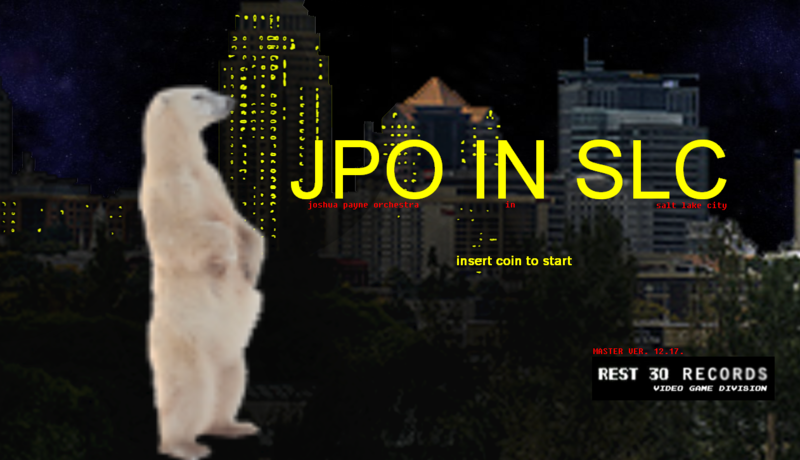 It’s no surprise, then, that he’s developed his own game, JPO in SLC. The game follows the imaginary exploits of the Joshua Payne Orchestra, the “very special band” led by his brother. Before the JPO relocated to Los Angeles, the nine-piece orchestra used to play guerilla shows at secret outdoor locations on Fridays at midnight during the summer. JPO in SLC carries on that adventurous, avant-garde spirit in some of the same settings that the JPO played. 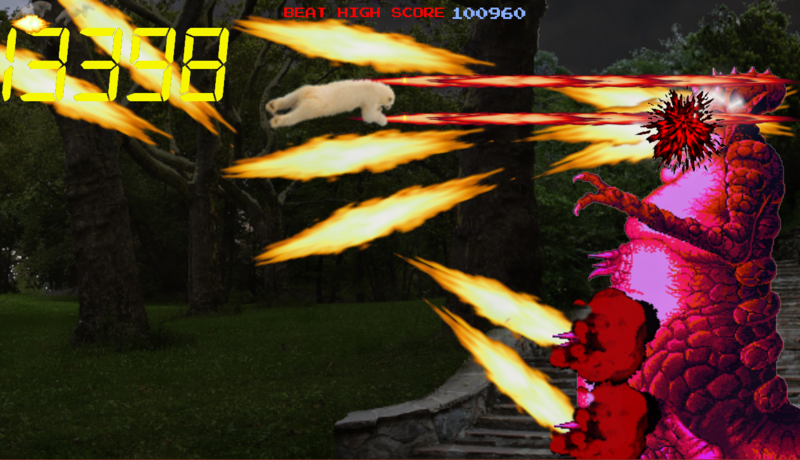 Payne uses the game, which took 500 hours to create over the course of a year, as “a device to play shows,” banking on the popularity of geek culture and the advent of arcade bars. Now, when Payne books a gig, he brings the game—housed in an old-school cabinet, of course. Afterward, he leaves it at the venue, set to freeplay for the bar’s patrons to enjoy until the next gig. But it’s more than that.